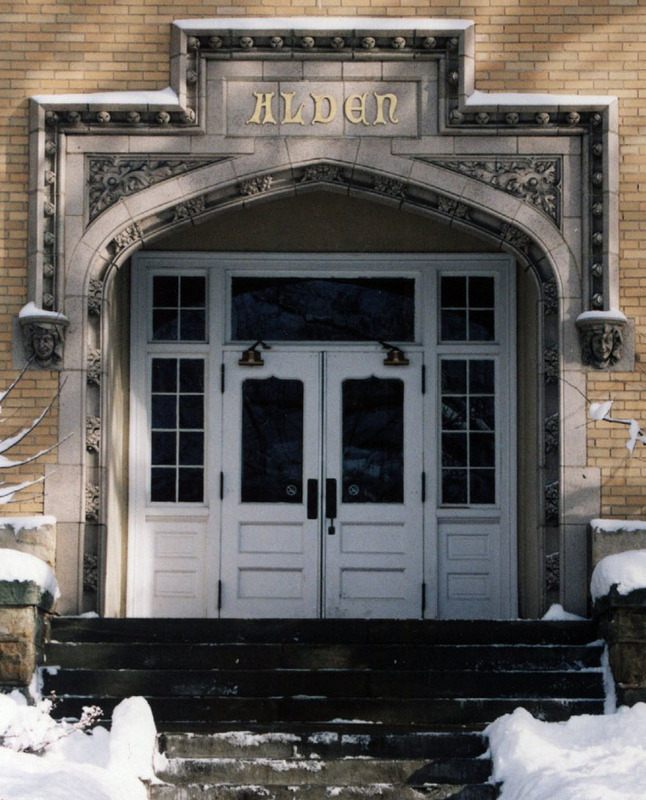 The site where Alden Hall now stands was originally occupied by Alden Academy, the Preparatory School associated with the College. 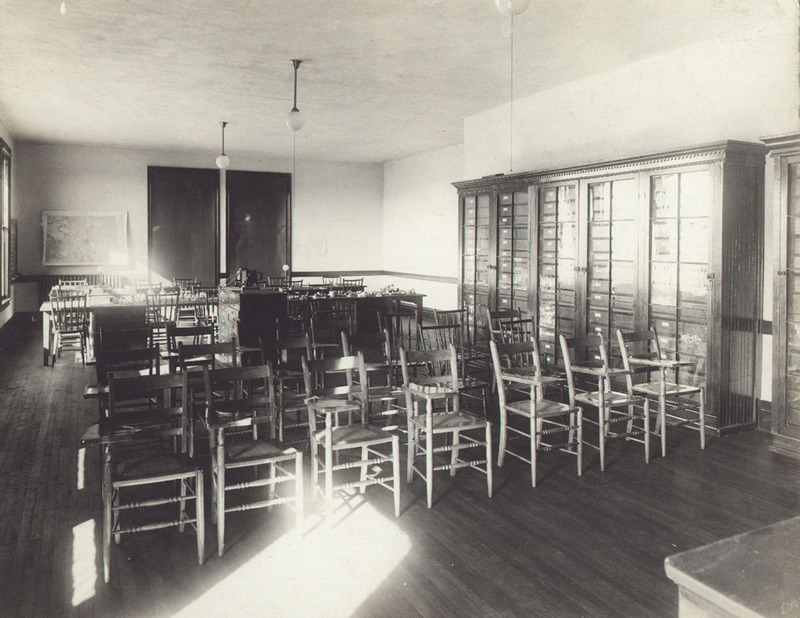 When it closed in 1912, the Chemistry Department moved in, only to be displaced due to a fire on January 15, 1915. 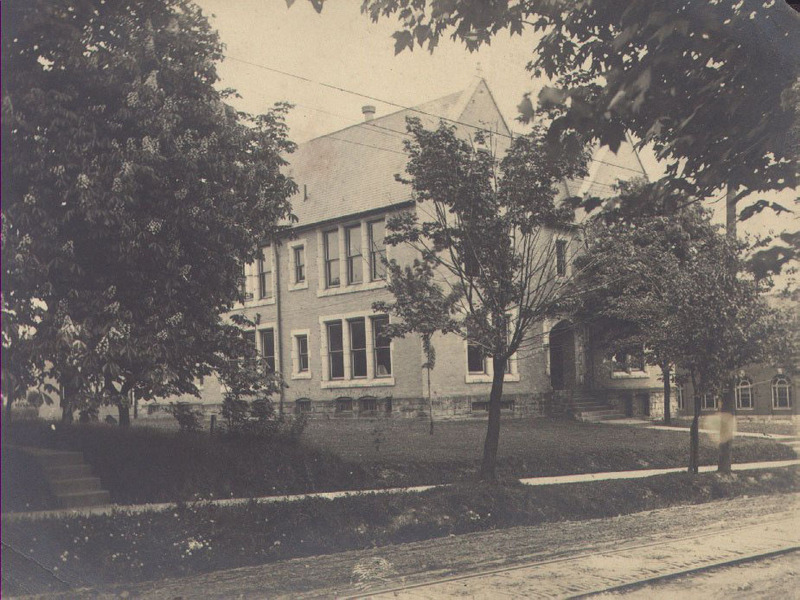 The new building, erected in 1915 by Charles W. Bolton & Son, retained the old name in honor of the College's founder, Timothy Alden, and funds were provided by Sarah B. Cochran and Andrew Carnegie. 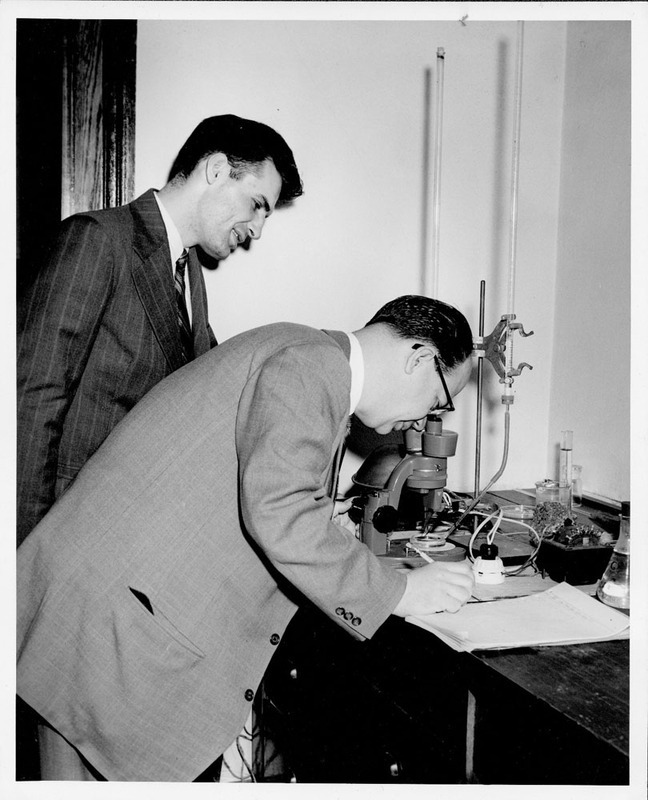 Much of the planning work was undertaken by biology professor Chester A. Darling. With its original red tile roof, proportions, and details of its Beaux-Arts classical style, Alden Hall harmonized with nearby Cochran Hall. 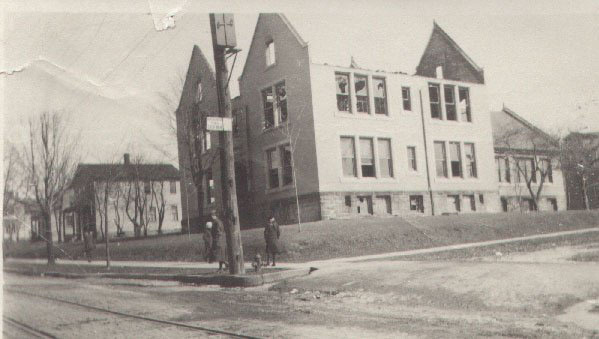 This expansion was achieved by tearing away the former chapel part of the building and adding a 70-foot extension to the east. 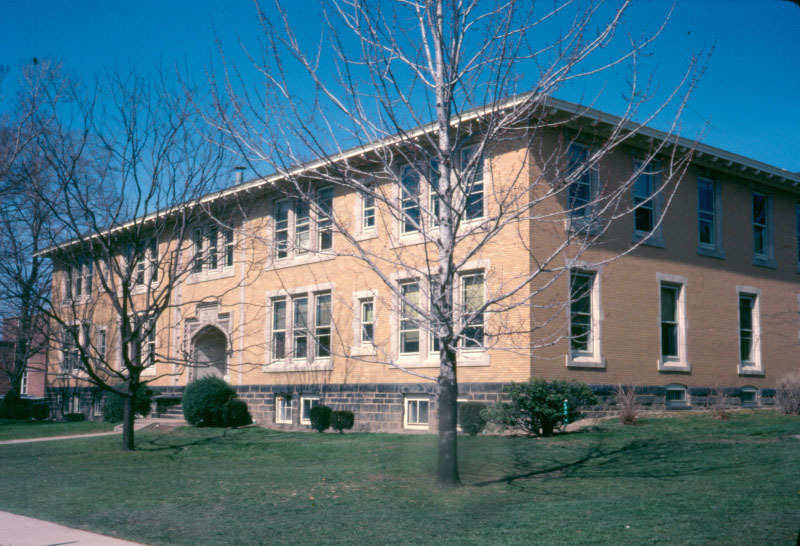 The east-west axis of the building was enlarged to 120 feet long, with the main entrance relocated from North Main Street to face south onto George Street.The building retains much of its original interior decoration, including the oak floors and wide entrance hallway with several display cases intended to serve as a museum. Over time, settling of foundations would create a fault line between the older and newer sections and a small difference in elevation; the wave it creates in the main hallway is now appreciated by the building's inhabitants not as a deficit but as a lovable peculiarity. “Alden Hall,” NW PA Heritage, accessed April 26, 2019, http://nwpaheritage.org/items/show/10.